This package features something for everybody! 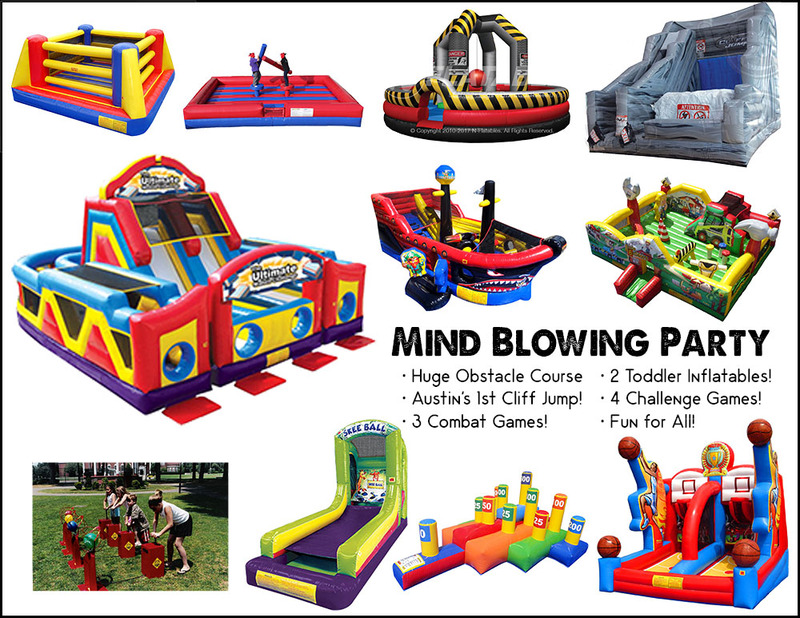 Each of these items alone would make your event awesome - put them all together and you've got a mind-blowing party package that exceeds all others! Featuring all brand new rental items and some firsts for the great city of Austin! Congratulations, you saved $250 with this package and made your life a whole lot easier! CAPACITY: Hundreds of participants per hour. An adult MUST be present at ALL TIMES while unit is in use.